A long-running and popular Mac vs. PC campaign stereotyped PC users unfairly and inaccurately for years. The I'm a PC campaign was a response to that. It showed how wonderful and wide-ranging real PC users were, and celebrated them. 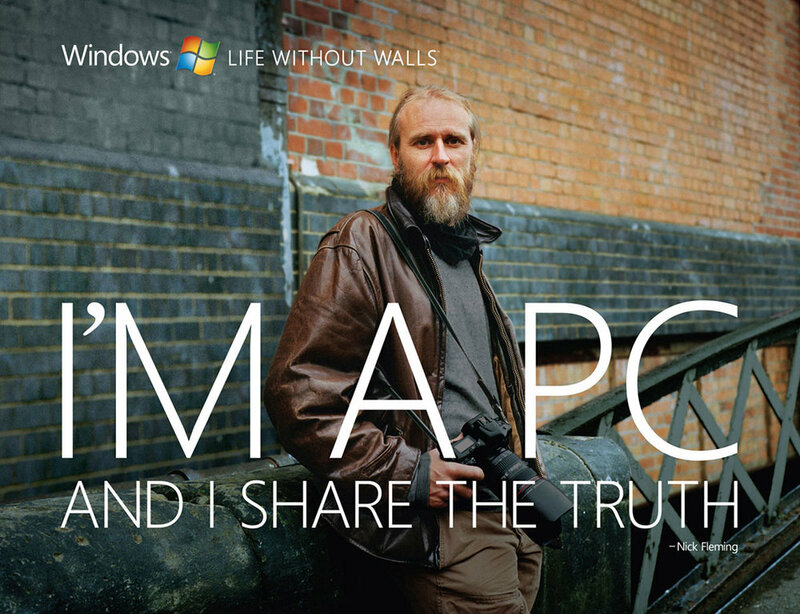 The campaign featured everything from graffiti artists to architects to rappers to school children, the largest online media buy to date and a user-generated component that had Mac users asking if they could participate. Click-thru rates on banners are abysmal, but what if you didn't have to click on anything to see where it would lead you? That's exactly what we did with PC Store Banners that bring a personalized store to you – right in the banner.